The Complete Guide For Lightworkers! 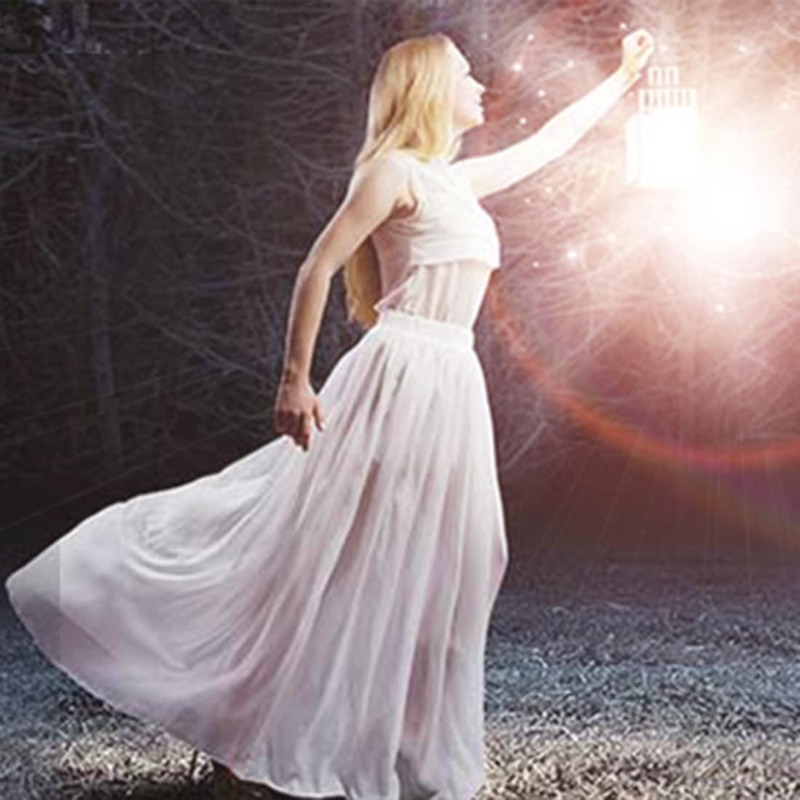 A Lightworker is an awakened spiritual being in physical form who has reconnected with their soul plan and mission crafted prior to their birth. Lightworkers commit internally to be a shining light in the world; to serve humanity, earth, and the unfolding ascension. Their commitment is to make a difference through shining light, embodying their authentic truth, and serving in any number of forms. Lightworkers aren't just channels and spiritual teachers. They can be found shining their light in just about every profession you can imagine. 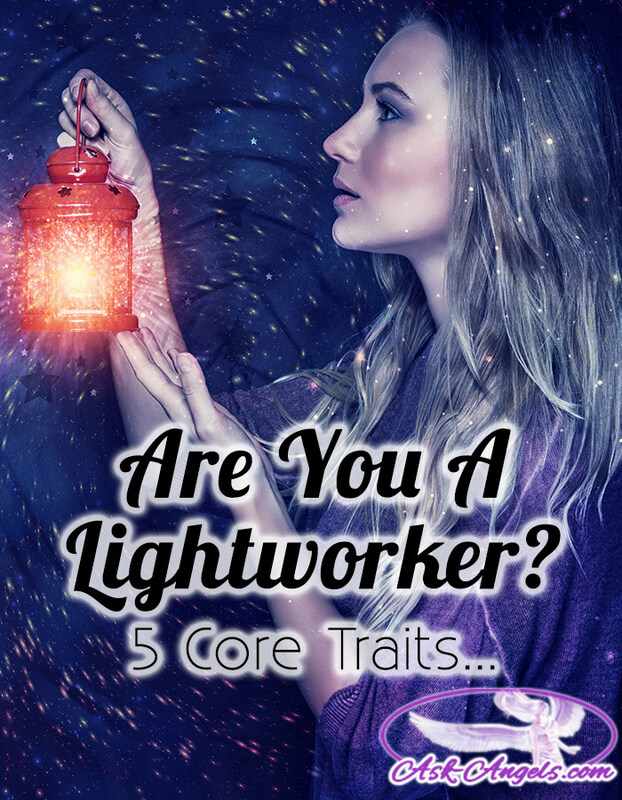 Before you decide whether you're a lightworker or not… Let's take a deeper look at what lightworkers really are in the first place. Chapter 1: What Are Lightworkers Really? Chapter 2: How Do You Know If You're A Lightworker? Chapter 3: How do you get started doing “Light Work”? On the simplest level, lightworkers are souls who are driven to spread light—or in other words love, freedom, knowledge, and understanding. They are human beings who have awakened to their higher spiritual purpose, to shine light in the world and raise the vibration of humanity and earth. Really, anyone who is driven to be a shining light on Earth, to raise the vibration of the planet and to answer the call of the light over the doubt and fear of the ego is, whether they know it or not, a lightworker. Like this video? Be sure to follow me on YouTube! Lightworkers feel driven to seek a deep understanding of the Earthly experience, which can only be gained by living it themselves. These souls are significantly older than most that are found on Earth, and many were even present at the creation of Earth. But lightworkers often are not aware of who or what they are. In fact, they are limited by the same pitfalls and binds that the rest of Earth’s population faces, and they must go through the same process of spiritual awakening to reach self-discovery and actualization. Only then will they be empowered to fulfill their purpose of helping others as a lightworker. How Do You Know If You Are A Lightworker? Really, whether you are a light-worker or not is something that you can only determine by looking within. You do it by awakening, reconnecting with your authentic soul light, and tuning into information about whether your soul mission is to shine light into the world. Look within and try to understand: are you here to help awaken humanity and to help the earth through this ascension process? The earth is transforming into a new paradigm. We’re moving away from the older paradigm of fear, manipulation, greed, and materialism into a new dawn of awakened co-creation, love, harmony, and peace. If this sounds like a stretch to you, that's okay. When you go within, open your heart, and tune into your light, you will be able to determine for yourself if this is a part of your mission. 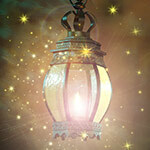 Lightworkers can be hard to identify because they have many qualities that are common among other people too. But for lightworkers, these traits are more than just preferences. They are traits that drive them from a very core level. Lightworkers often have a strong sense that they're different. That although they're a human being, they really don't belong here on Earth. This can manifest as a feeling of otherness, isolation, or even homesickness. Lightworkers may often feel that they are on the outside looking in. Many lightworkers have a deep underlying feeling of “wanting to go home”. Lightworkers are driven to understand the world better by seeking out extreme experiences. With this experience comes great empathy, which causes them to feel what others feel very deeply. Along with this, lightworkers have a stronger sensitivity to the energies around them. They are especially sensitive to negativity, and it wears on them. It may be difficult for them to deal with people who are angry or aggressive. As a result of this drain on their energy, lightworkers have a need for frequent time alone so they can decompress and recover. Lightworkers do not fit into traditional authority models or modern workplace structures, and they do not feel comfortable in them, either. This is largely due to their anti-authoritarian nature. While lightworkers may seem timid or shy, don’t underestimate them—internally, they have a strong resistance to anything that places value on power or hierarchy, and this prompts a rebellious streak. Lightworkers are often driven to expression and development, both for themselves and others. They are very likely to find an outlet writing or in the arts to express themselves, and also to serve as a voice for humanity at large. It’s also common for lightworkers to be drawn to activities that nurture their spirituality. This can be anything from meditation to spending time in nature, to self-help books. This trait is rooted in lightworkers’ high sensitivity and empathetic nature, and they are often found in career paths that enable them to do so, such as teaching, therapy, or nursing. When lightworkers are enlightened and self-actualized, they recognize this drive as their true purpose in life, and find their own fulfillment in guiding others to enlightenment. So… Are you a lightworker? There is a high frequency of these old souls throughout the world, so you very well could be a lightworker yourself. And if you don’t feel you yourself are a lightworker, you’ve definitely had moments of living like one by simply helping another, choosing to do what you felt was right in the moment, or getting involved in a social or planetary cause. There could be other signs, too… Like constantly seeing number sequences, finding feathers on your path, or having the ability to see auras. All of these can be signs you are a lightworker, waiting to awaken to your inner truth. Lightworkers are real people, although they have a deep soul history of serving others, they’re not somehow superior or greater than other people. Lightworkers are indeed unique in their purpose and gifts. But don’t mistake uniqueness for superiority—we all possess uniqueness and gifts of our own, and in the end there are many paths through life… All offering unique learning, growth and service opportunities, but none are “better” than others because ultimately we’re all one. How do you get started doing “Light Work”? To phrase this question a little bit differently to help provide you with some clarity. First and foremost, your purpose as a Lightworker is to awaken. You have a soul history of mastery. You have gifts, abilities, wisdom, and light that the world needs for you to share now. It’s key for you to awaken to these gifts and to your power. You must awaken to your authentic truth. Letting your consciousness expand and elevate so that you link with your higher self, Guides, Angels, and Ascended Masters who can give you further guidance on your path. In addition, service is so important for all light workers. It’s why you're here, not to get caught up in the illusion, materialism, and the 3D world! Serve, love, and shine! Through this, make a difference and help all of humanity to transition out of the lower densities into higher levels of light. There so many different ways that your work as a Lightworker can manifest. It’s important to let your main focus be to shine your unique flavor of light. Don’t try to be like someone else, don’t try to mimic. Enter inward, quiet your mind, open your heart, and tune into the light flowing along your spine. Let this light expand around you. Tune into your aura and let it fill with light, tune into your light body and expand even further. Elevate your vibration, expand your consciousness, link with the guidance that is available to you, and then take action in alignment with your inspiration. Try to align with the answer to the question, “How may I serve?” When you're just starting out, this may be as simple as smiling, as sending silent blessings to people when you pass them on the street. And then as you progress in your connection with your higher self and Guides, it can evolve into doing specific light work. Perhaps light missions to help with the ascension of humanity and earth and to help usher in this wave of positivity, love, joy and co-creation. Understand that the earth has been plagued by negativity, density, and darkness. Lightworkers are here to swing the pendulum far the other way. They are here to embody light, peace, and truth. To awaken and share this high vibrational energy, an expanded sense of consciousness, and light with the world. If you're just embarking down this path and waking up as a Lightworker, and you're just learning to connect with your guides, angels and your higher self, know that being a Lightworker can be as simple as shining light. Sometimes sharing positivity, being kind and compassionate, helping, serving, and loving others is the perfect service. This is light work! Being a decent human being with the specific intention to serve humanity, to uplift the world, and embody your authenticity is enough. Because service is so essential for Lightworkers, I’ve categorized the many ways lightworkers serve into 11 different areas. Gatekeeping is a more advanced form of grid work in which you work with your team to open interdimensional gates to allow higher levels of light and love in. These are Lightworkers whose core mission (or a huge part of their mission) is to embody the light. They are here to retain a higher vibrational frequency and presence despite whatever is happening in the external. During tumultuous times and chaotic events, these Lightkeepers are consciously focusing on embodying the light and expanding it out beyond them in order to neutralize challenges and density. They uplift humanity and support us all in the unfolding awakening process. Transmuters dive into the negativity in order to transmute it and release it into the light. This returns the negativity to divine neutrality; returning it to presence and balance. Transmuters maybe working on behalf of the collective consciousness and all humanity by transmuting past karma. Healers serve humanity, the earth, animals, all souls, and all beings. Healing can take so many different forms. It can be mental, emotional, physical, or spiritual. There are so many different modalities. If you are a Healer, listen to your internal guidance about the modalities, techniques, and ways that you can be of service through your gift. The work of healing as a Lightworker also includes yourself. You’re raising your vibration and filling yourself up with light so you can then heal, support, serve, love and guide others. These are Lightworkers who have opened their third eye or their psychic sight to see beyond the physical; beyond the veil of illusion. This gift can take many forms. You can provide readings or services to inspire, empower, and help guide others. You can also look for areas where healing, transmutation, or release are needed and focus your energy there. This is where your light, power, and presence can most make a difference. All of us have a unique divine blueprint; a template for your fully awakened self. All Lightworkers have this template, but the Divine Blueprint Holders are actively tuning into it and retrieving the codes of awakening that are unique to them. This way, they embody their codes and send them forth through the crystalline grid, the human heart grid, through service, or love in any form. Dreaming, transmuting through dreams, interdimensional travel, going into the dream space all allow you to access alternate dimensions of experience. Dreamtime is real, so pay attention! What are the symbols in your dreams? Write them down. Meditate on them. Every time you remember a dream, take time to ponder it and take some truth away. What could the higher dimensional manifestation of that dream be? If you dream that you are going to school, the higher dimensional correlation means that you are, in your dreamtime, studying and leveling up. You’re taking on new skills and gifts as a soul so that you can be of more service. A Lightworker who is receiving guidance and messages from the Divine, Angels, Ascended Masters, Galactics, and your higher self is a Messenger. Share these messages through videos, blogging, teaching, or writing. Whatever the media, whatever the form, Messengers receive guidance from Spirit and pass it on in order to serve humanity and the awakening process. Learn more about being an angel messenger here! These are the Lightworkers who are actively involved in weaving light in order to manifest positive changes on the earth. This could come in the form of intending and manifesting positive timelines. It could come in the form of manifesting positive events or creating the template for greater love, greater light, or harmonious co-creation. Divine Blueprint Creators manifest not only for self interest and self gain, but also for the highest interest of all beings, Gaia, animals, and all of humanity. These are people who are ascending. They are stepping into greater levels of light and sharing what they're learning about the ascension process. They show us how to overcome some of the pitfalls and how to tune into the blessings in order to help everyone who has the opportunity to ascend. Wayshowers are Lightworkers who are walking their walk. They are showing the way! Perhaps they aren’t consciously teaching as Ascension Guides are, but rather embodying the ascension process, and living in their highest authenticity. They live awakened, inspired lives, keeping the highest interest of all beings in mind. When it comes to Lightwork and identifying which one you are, know that it’s highly likely that you’ll embody many of these traits. Pay attention to your inner guidance. Trust your intuition about how you can be of service. I love to continually ask, “How may I be of service?” When you ask this question, you get an answer. Listen to your internal guidance, take action, keep shining your light, and make a positive difference in the world in whatever way you’re able to. This is being a Lightworker. It doesn't mean you have to be on camera. You don't have to be on stage. You don't even have to be a spiritual teacher. You can be an Undercover Lightworker if that is where you're feeling called or where you are right now. You can live a normal looking life, work a corporate job, or play in a mainstream area of reality. You just simultaneously shine vibrantly; loving and supporting others, being of service, creating positivity in the world. Are You A Lightworker? -Infographic! I am not sure I can thank you enough for your articles and youtube videos. Please keep doing what you are doing. You are changing the world for better. Melanie, I can’t tell you what a breakthrough I’ve had today! The article on lightworkers with all the chapters as well as the one about earth angels, honestly they’ve not only explained so much about me, but I’m seeing things so much more clearly. These last few weeks especially have been lots of ups and downs. What with empathy resurfacing after having been buried deep down pretty much since the last and only person who I thought truely understood stabbed me in the back, along with sensitivity to negative and other energies returning to my conscious awareness, I didn’t know who to turn to and I was so emotionally overwhelmed by it all that I could only express it through written poetry. 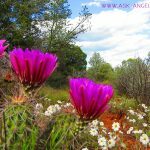 I just so happened to be considering doing a reiki course, and I came across an article on one website which briefly refered to earth angels. When I did further research I came across your website. First I learned about archangel Muriel who I instantly knew was perfect to help with my emotional and energetic struggles, and although she didn’t manifest physically, when I called on her I found myself growing calmer and more able to deal with any unpredictable energy, empathetic or emotional surges so to speak. Today’s research on lightworkers and earth angels has definitely been a massive breakthrough, and I definitely feel like I’m awakening. I’m even becoming aware of a light within me, which at times feels like I can turn it on and off as easily as a lightswitch. When I’ve fully mastered the art of expanding this light, I’ll definitely shine it on you along with the rest of the universe! The waterfall technique will definitely help me. Thank you so much for everything, and I also thank all the angels and guides who I’m certain have helped me get this far. May you all be blessed, and keep up the amazing work! I’ve never felt as if I belong here. I remember, vividly, as a 4 year old child, hearing the words ( not so much in my head, as simply near or around me) ” I don’t belong here “. I would stand off and observe my family members and solemnly marvel at how I had nothing in common with them. I loved and cared for them, there was no animosity, but I just sensed that we were different people with a completely different understanding of one anothers ethics, virtues and morals. I was also accustomed to sneaking off to steal precious moments of time and space to myself. Most of the time with the livestock. I loved being and cuddling with them. I have always felt much more camaraderie with animals, than with people. Notice; I did not say, ‘other people’, just ‘people’. It’s as if there is a veil of some sort between me and them, that doesn’t just separate us, but draws a delineation that defies bridging. At other times, I would find a spot, remote, in a field, away from shelter, leaving myself vulnerable to the elements. I would lay on my back, spread eagle, stare confidently at the sun and converse with God. I would tell Him that I trust Him completely and was willing to prove that by exposing myself to potential peril in this corn field, because it was my privilege and honor to be brave in His protective might. WHAT4 YR. OLD HAS THESE THOUGHTS AND PERFORMS THESE ACTIONS?! As a result of heredity, I was a sickly kid. Half the pulmonary function of my peers and a hole in my heart, that never healed. Pneumonia was a constant, along with high fevers. My saintly momma never let me forget or I would not recall it. One particular such fever was 105.7 ( thanks Mom, for drilling that # into my head!) Immediately, upon waking from that fever, I could read minds and ‘ see’ things and people – past, present and future. I was 4 yrs. old, now I’m 61 and it all remains the same. I love/hate people, I adore animals, I’m generous to a fault. My needs are always met, by God, I’m certain. However, it’s deeply insulting and disappointing when you give, with great joy and gratitude ( for having the means to be able to give, when on paper, the math defies logic) only to have the recipients take your offerings with their right hand as they slap your face with their left hands. Still more proof – I don’t belong, because I never understand their rules of engagement. I’m tired of trying to help all the hapless ones who end up in my orb, and ultimately, my lap. I crave a solitary life, and look forward to cutting my ties with the ‘ on grid’ society. Am I a freak or are they? Someone who believes she is a construct and never human… told me that she believes I am Sandalphon…. I don’t know if I believe this… but though my life has been one horrible trial after another… I have always stood as a light house and have seen that I have been there when people have needed guidance, help, or assistance through the years. At this time now, I am a teacher and I see that I bring people together in positive caring groups… That makes me happy and makes the trials bearable… but how do I know if this girl is correct? She keeps calling me ArchAngel… I don’t know if this is true or not… Can someone give me a little help? Hi Sandy, hopefully I’m typing in the right place to reply to your comment! If someone else has already advised you, then feel free to ignore this. I’m just awakening and have much to learn yet, but here’s what I have. Look within your heart, and only your heart. Meditate with the intention of asking, “Who am I?” “What is my mission here?” and any other questions you’d like to know the answer to. Listen carefully for any answers you may receive. I wouldn’t recommend asking if you’re Sandalphon, as your answer may not be as clear and your mind might get in the way. Whether or not you intend to ask a particular guide, angel, or even the Creator, first set up and/or imagine a sacred space, a place which fills you with nothing but love, compassion, faith and hope. Surround yourself in divine light, and pray to the archangels(archangel michael is a good one) for protection during meditation. Then call on the intended recipient(s), then ask. Heck, Sandalphon himself might be a good one. If you really are him, that should help you to manifest. If not then he’ll reveal that to you in his own way. Bear in mind answers may or may not come during meditation but also in dreams, breakthroughs, certain events, the list is long. If you’re unpractised in meditation, there are lots of resources out there which can help you get started. Also listen to your intuition and gut instinct. What is your intuition saying to you? How do you know all these things ? Yes. I am all types described above. I definitely pick up and take in everyone else’s emotions. At work, I have to sit either by myself, or those with a positive personalities. What bothers me is which light worker am I? I easily see triple digits, see bright white orbs, hear spirits talk to me as I prey, and get severe spiritual shocks. I’d like to know what these signs mean and how to hone in these gifts to the next stage. Hello Melanie…thankyou for this site and the insight you’ve given me…Just wondering if ‘one’ can be at least 2 of the different types of Lightworkers? I am a healer and find myself unwittingly connecting conversations to my ascension so know I am an Ascension Guide as well…I still have a way to go in my process of ascending and a pastlife shaman revealed I’ve had past lives as a healer, one of which I was killed for my ability (I’m sure I was hung as I can’t stand anything near my throat)! I have a close connection to my/the angels as my crown chakra tingles when I ask them for help, I’m seeing all colours in my third eye as well as my normal vision and the vibrational energy is intense, I’m seeing sacred geometry also and find this fascinating, everyday I see synchronicity in the form of numbers and feathers…the list goes on and on and everyday there are small miracles. Lightworkers, Healers, Friends, WE ..DO…need 2 come together. Energy , light work….heals much on many levels the consciousness of not only you as the healer is changed, lifted, learner but it happens across the board the patient, the family, the community, energy cannot be boxed in the consciousness of everything is lifted. We are luckier than our ancestors in healing and energy work their nervous systems could not handle the higher vibration and they suffered much on the energy frontier….we now can unite and together in what we have learned and practiced and facilitated can together send out healing & liberate and open the doors for a new shift in consciousness so things can get done for a better tomorrow for everyone. I ask “ALL” with that United “sense” to contact me so WE can become a United WE….and share insights & step into the new frontier together on what dan be done for humanity, spirituality, love & communication on every level of consciousness so real Healing takes control of the wheel….WE can do this together…please become a member and share yourself with community…. Name of us united is: ” WE”…..♥️…lol. It would be awesome to talk to someone who can understand me. I just came to this incredible knowledge and feeling of some wisdome that i too might be a lifeworker. In the past three maybe if not plus years I’ve been feeling crazy. I just now found out what those riging noises in my ears (been having them more and more often, and there are several types of noises). I too been feeling like someone is touching my head, and lately its been my entire body from head to toes with sensation like a light tickle/tingles. My whole life is beeing shown in my own head, all the little gestures Ive made, good and bad. I wish you all and this entire world the best of good. I invite Lightworkers from 15 years ago to Barcelona to meet with artists from that city. Oh my. You have just described me to the t. I love my Guardian Angel and nature. I have felt unique since a child and have been told this. I’m so love the woods, clouds, animals and have been a career of older people and children through my life. I can read people’s body language and some people just reach out to me where I feel I need to offer my hand of friendship or care, but never feeling better than anyone. We are all special and need to seek what makes use unique. Does that make me a light worker. Hmmmmm so interesting. That would answere a lot of questions. I am a light worker based on these characteristics. I am experiencing some amazing things as of lately, and for some reason I’ve been seeing four primary colors as of lately: Red, Blue, Green, and Yellow. I have my answer to what has been happening, as to why I felt a certain way. I am not crazy!! Haha I know who I am now and what my mission in this world is. Yes i have all traites also me being empath has alall these traits and lots more. I just finished reading the traits of light workers . I fit all five categories . Very sensitive and emotional I could feel what people are feeling . Have a feeling that I should do more on this earth . So how do I find out if I am a light worker . I had to answer yes to all 5 traits. Please angels continue to to keep peace love and light around me. Give me strength courage and patience. please I love every lesson you post,I eagerly wait to read every of your post.please madam/sir with great excuse please send me every lesson,by my E-mail,account,I need to save it.and have great passion to teach others too. Well, then, I am a lightworker. All of the five traits are present within me. As long as I know about myself. I was told, when I went to have an energetic treatment and cleansing of my aura, that I am an alien and that this is my first incarnation of Earth. And that it is why I feel like I fell from Mars. lol I am extremelly sensitive, like an antenna or sonar. My sense of smell and hearing is sharpenning constantly. Lucid dreams, seeing energy flows around me and outside. Having constant sensations, like someone is breathing in my face, shivers at the top of my head and down my neck and spine. Striking intuition. Clearvoyance. Always having the impression that someone is watching me. Always seeing movements in the far ends of my sight. And I am just now getting to gradually discover those hidden things within me. Sometimes it feels like a curse. But then, I realize that it is a God given gift and that I cannot ignore it. Many things yet to be discovered for me. And with help of Angels, I will find my purpose and everything is going to be better.